Growing up in the U.S., your idea of a beach vacation may have been sunny Florida or something more modest like The Jersey Shore. In communist Hungary, the only place to go was “Balaton.” It’s a lake, but no ordinary one as far as Hungarians, or the hundreds of thousands of East Germans who also vacationed there, were concerned. (it’s called “Plattensee” in German). Nearly 50 miles wide and eight or nine across, it was the equivalent of an ocean for a landlocked country where foreign travel rarely was possible. I’ve been there a few times, but my most memorable visit by far was in August 1979, the summer between fourth and fifth grade. It was my first trip and I had been regaled with tales of how wonderful it was by my mom, who spent summers camping there as a “Young Pioneer.” By “memorable” I don’t mean pleasant, by the way, though that’s not her fault. The three of us (me, my mom, and my sister) went there with my mom’s best friend from medical school and her daughter, who is my age. The whole trip was weird to an American kid – you went there on a slow, packed, stuffy train filled with people smoking harsh cigarettes. Passengers brought lots of food with them – bread, salami, cheese and juicy Hungarian peppers and tomatoes – no McDonald’s. Never ones for modesty, most Hungarians on the train already were half naked and ready to jump in the water. By the time they got to the actual beach, most of the women were truly naked from the waist up – an eye-opener for an American kid (I didn’t mind that part). Instead of a hotel, most people, including us, rented a room or an entire house in a village near the shore. The one we rented seemed incredibly rustic to me – we had to feed the owners’ chickens – but it made for pretty luxurious digs by local standards. Anyway, the trip started out fine. We were on the southern, shallow side of the lake and I went swimming on the first afternoon. I remember having a nasty fall on the rocks and being carried out, sobbing, by a very kind East German teenager. It turned out to be my last excursion into the lake as I started feeling ill the following morning. We found out later that lots of people developed similar symptoms. In a communist country, this sort of information trickles out slowly, if at all. I got worse and worse and I developed a high fever. I should note here that, back in Budapest before our trip, I had watched a popular Hungarian children’s film based on a famous play called A Pál Utcai Fiúk (The Paul Street Boys) by Ferenc Molnár. In the end, the hero dies of a fever – typical, cheery Hungarian youth programming! Being nine years old and already a budding hypochondriac, I had visions of succumbing to my illness like the hero in the movie. At first my mom wanted to try a home remedy – chicken soup – but we couldn’t eat the live ones in the yard. She bought a duck instead and made some very greasy soup. It didn’t work and finally she found the lone local doctor. Being the eastern bloc, this took a while and he had no medicine anyway. After scouring the area, my mom finally found some Bulgarian penicillin. I don’t want to sound bratty, but it was absolutely the most disgusting thing I’ve ever had to ingest – a bottle of poop-brown liquid with an aroma to match. I kept vomiting it up and, after a while, developed a Pavlovian reaction to the bottle, barfing as soon as she unscrewed the cap. It was also very hot in the peasant house and I just lay in bed most of the day drenched in sweat. There was no ice or, of course, air conditioning. The main diversion was playing with the stray cats who wandered into the house and lay down in my bed. One day I picked up what looked like a glass of water on the table. It was actually vodka that my mom’s friend, who was a bit of a lush, was drinking straight. I finally got so sick that my mom had to take me back to Budapest and call in a favor to get me treated in a “special” hospital. What was so special about it? I’m not sure, but I shudder to think of what the run-of-the-mill ones were like. A nurse took me into a room and pulled out the most gigantic needle I’ve ever seen – 1940s medical technology – to draw blood. She stuck it in my arm, but blood started spurting out all over me because she had neglected to place a glass tube on the other end. After yelling at me for not being “a man,” she found the missing piece and I was free to go. They didn’t seem to have any normal penicillin either because I had to go back every day after that on a train, trolley, and bus while feeling awful to get a shot in my leg with a slightly smaller needle. After the shots my legs would stiffen and I had to limp back to the bus. They alternated sides each day. I was sick for the rest of our trip but a bit better than at the lake. When we got home, I went to a local clinic in Queens, got some medicine, and it took me about a day to improve. I nearly had a fit when they asked to draw blood but was relieved when it was just a virtually painless finger prick. They told me I had a bacterial infection. They say that young children can’t appreciate being taken abroad. I’m not sure that’s quite true, though it may seem like that at the time. My sister and I didn’t really understand how different life was behind the Iron Curtain, even in Hungary, the “happiest barracks in the camp.” I thought lots of kids went on trips like that. 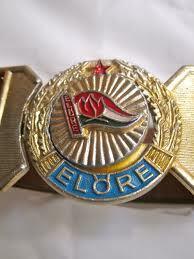 I remember bringing back a “Pioneer” belt buckle with the inscription “Előre” (forward!) that I wore to school. They didn’t know what to make of it at P.S. 174. On the other hand, this all made a strong impression on me and left some vivid memories – few more than getting so sick and thinking, with my childish logic, that I might die of a fever. For lots of poor people in the world, that’s a distinct possibility. 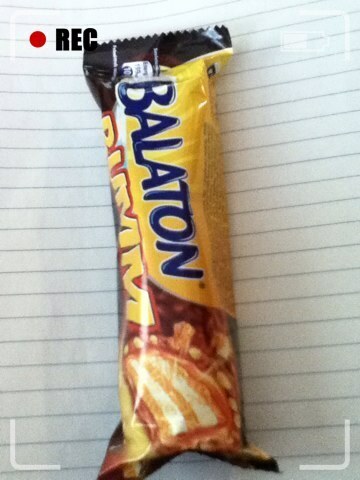 I don’t want to scare anyone away from Balaton, by the way. It’s actually very nice and, from what I hear, the water is perfectly clean now. It also has plenty of beautiful villas and some nicer hotels than back then, plus vineyards and spas. I went there twice when I lived in Hungary – once on a boozy weekend with some friends when we rented a cheap “Zimmer Frei,” Hungarian style, and once on a more high-end trip involving a sailboat with work colleagues. 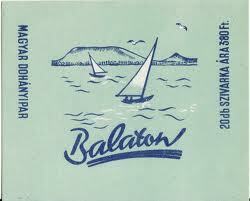 I had a pretty good time but, unlike probably 99.9% of people who went there as kids, my initial association with Balaton was unpleasant – feeling sick, scared, and uncomfortable. First impressions matter a lot. These days even middle class Hungarians are as likely to jet off to places like Corfu on cheap package tours as to spend time on Balaton. The analogy I would draw is New Yorkers who used to flock to the Catskills in the 1950s but now travel to Florida with the advent of air conditioning and affordable airfares. It’s not a perfect comparison. Balaton is special and accessible in a way that no similar place is for all Americans. It’s culturally significant enough to show up in many brands. Going to Balaton may not quite rise to the level of a formative memory, but it’s a powerful one. I was inspired to write all this down after reading Gary Shteyngart’s wonderful memoir, Little Failure. He grew up near my neighborhood in Queens around the same time as me after emigrating from the Soviet Union, but the portion that got me reminiscing about my trip to Balaton was his description of summer beach vacations in Crimea. He also detailed some pretty medieval medical treatment he got for his asthma because Soviet doctors didn’t have modern inhalers. I got off very lightly by comparison. Now all I have to do is become a bestselling author! Oh, one more thing. 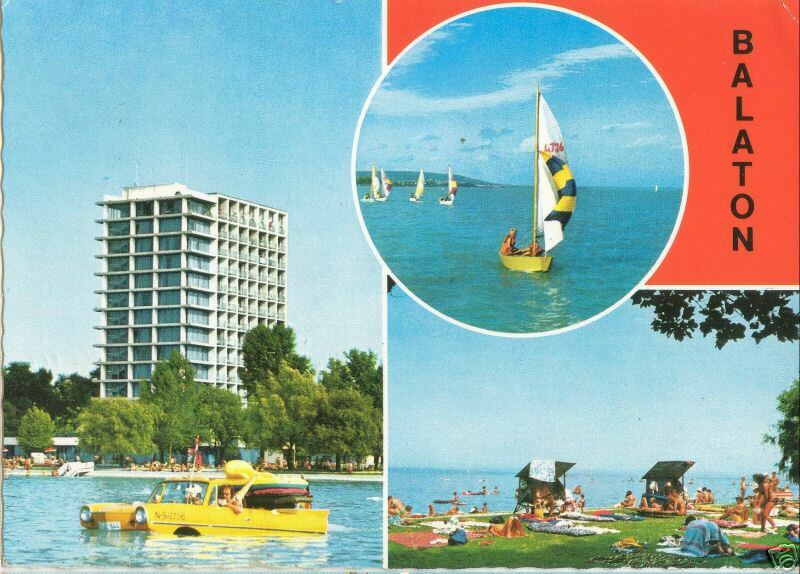 Sharp-eyed readers will notice that the postcard at the top of this entry shows not only Balaton but, for some strange reason, an Amphicar in the lake (I wrote about those a while back). This entry was posted in Hungary and tagged 1970s, amphicar, balaton, DDR, east germany, gary shteyngart, hungary, magyar, P.S. 174, Plattensee, Queens, travel, zimmer frei. Bookmark the permalink.